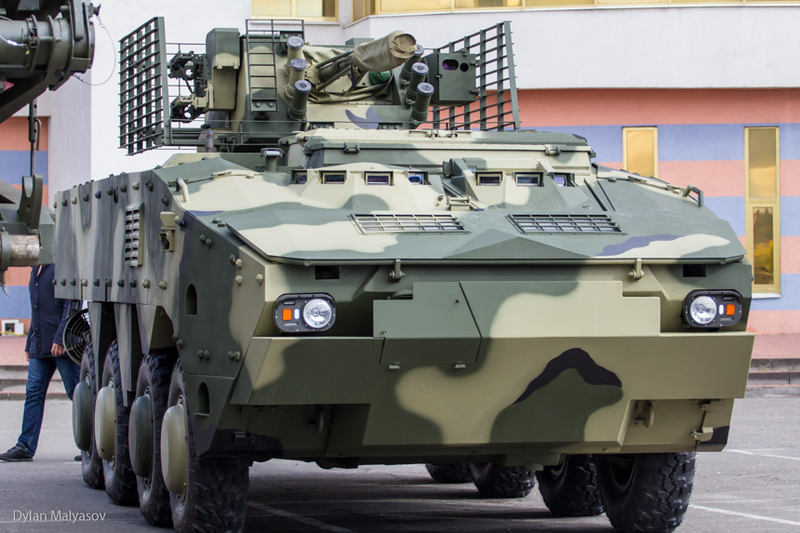 Ukrainian state defence manufacturer UkrOboronProm has taken the opportunity at the Arms and Security exhibition being held from 10 to 13 October to unveil a prototype wheeled armoured fighting vehicle that is presently known as the BTR-4MV1. The new BTR-4MV1 is the latest generation of 8×8 APC armoured personnel carrier designed, developed and produced by the Kharkiv Morozov Machine Building Design Bureau, part of UkrOboronProm. The BTR-4MV1 is designed in accordance with NATO standards. The vehicle is based on the BTR-4 but with many new improvements. It differs from the previous versions mostly in a modified configuration of the vehicle’s hull, which makes it possible to install additional types of protection (including the ceramic plates and explosive reactive armour) to reach the fourth and fifth protection levels in accordance with the NATO standards. Apart from that, the hull rear is fitted with a ramp that not only enables troopers to enter and leave the vehicle much quicker, but also enables the armoured personnel carrier to transport various large-size cargoes, including additional ammunition, spare parts, etc. 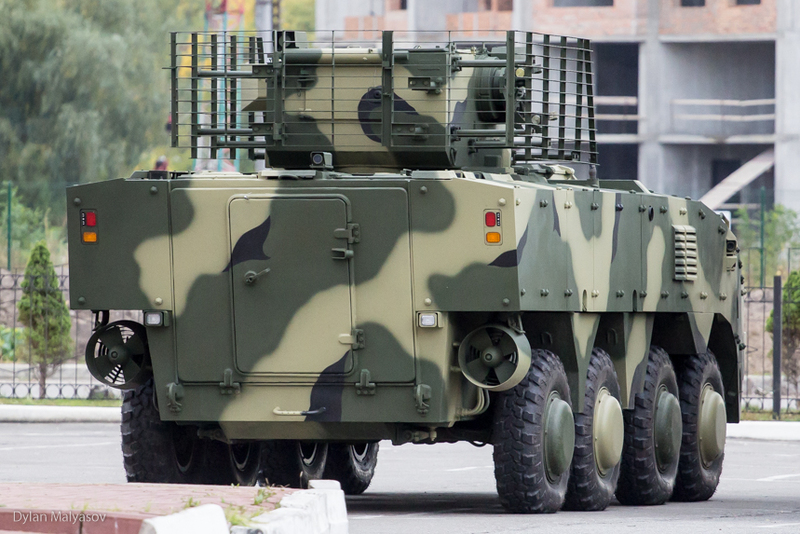 See also: Driven to Protect Against Russian Aggression, Ukraine’s Defence Sector Flourishes. — UATV English (@UATV_en) 13 октября 2017 г.